Harvey Schachter from the Globe and Mail wrote a wonderful article on my latest e-book Waggle. If you would like to read the article, click here. If you would like to read or download the free eBook click here. Here is the latest eBook by David Zinger on 39 ways to improve organizations, employee engagement, and work. The book is based on 3 years of experience convening honeybees and humans. 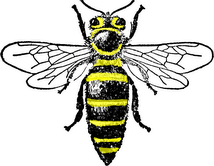 Catch the buzz by learning to think differently inside and outside your human hive! 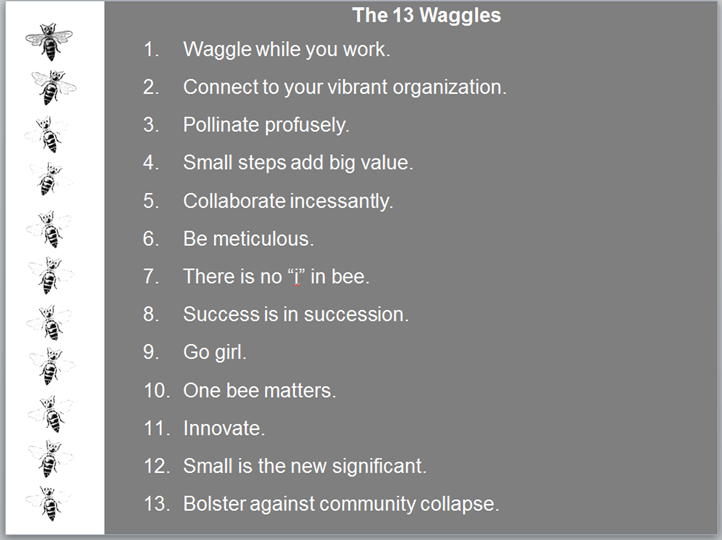 My new eBook Waggle: 39 Ways to Improve Organizations, Work and Engagement will be released on May 29th. I hope you will return to this site on Wednesday to read or download this free eBook with ways to improve organizations, work, and engagement based on my work with honeybees, office objects, and computers for 3 summers. My favorite waggle is: One bee matters. David Zinger conducted a 3 summer experiment attempting to convene honeybees and humans into a shared space. David’s is devoted to improving engagement for organizations and individuals.